US prosecutors have charged an Iranian national with hacking into the HBO cable TV network and stealing episodes and plot summaries for unaired programs including Game of Thrones, then threatening to release the data unless he was paid $6m. Behzad Mesri, also known as Skote Vahshat, was charged with the hack in a sealed indictment that was released on Tuesday by the US attorney’s office in Manhattan. A spokesman with the US attorney’s office said Mesri had not been arrested, and declined to comment on the suspect’s whereabouts. The indictment described Mesri as a “self-professed expert” in hacking who had worked on behalf of Iran’s military to attack military systems, nuclear software systems and Israeli infrastructure. It also alleged that he helped an Iranian hacking group, Turk Black Hat Security Team, deface hundreds of websites in the United States and other countries. The cyber-attack surfaced over the summer as HBO was running a new season of Game of Thrones and as the cable network’s parent Time Warner Inc sought regulatory approval to sell itself to AT&T Inc in an $85.4bn deal announced in October 2016. The indictment charges Mesri with hacking into HBO from May to August and stealing unaired episodes of programs including Ballers, Curb Your Enthusiasm and The Deuce. Mesri also stole scripts and plot summaries for Game of Thrones, according to the indictment. It said he obtained credentials that HBO employees use to access the network, then used those accounts to steal data from the company’s servers from May to August of this year. 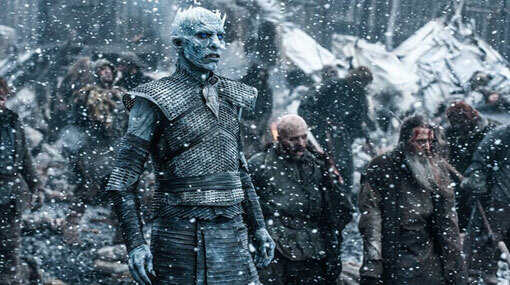 He demanded up to $6m to keep the data secret in extortion emails to HBO staff, some of which ended with photos of Night King, a menacing zombie villain from Game of Thrones, according to the indictment. Reuters was unable reach Mesri for comment. Prosecutors charged Mesri with computer fraud, wire fraud, extortion and identity theft. An HBO spokesman, Jeff Cusson, declined to comment on the indictment. “As far as the criminal case is concerned, we prefer to leave any comments to the US Attorney’s Office,” he said in an email. He declined to say if the company’s investigation into the breach was complete or how much the incident had cost the cable network.